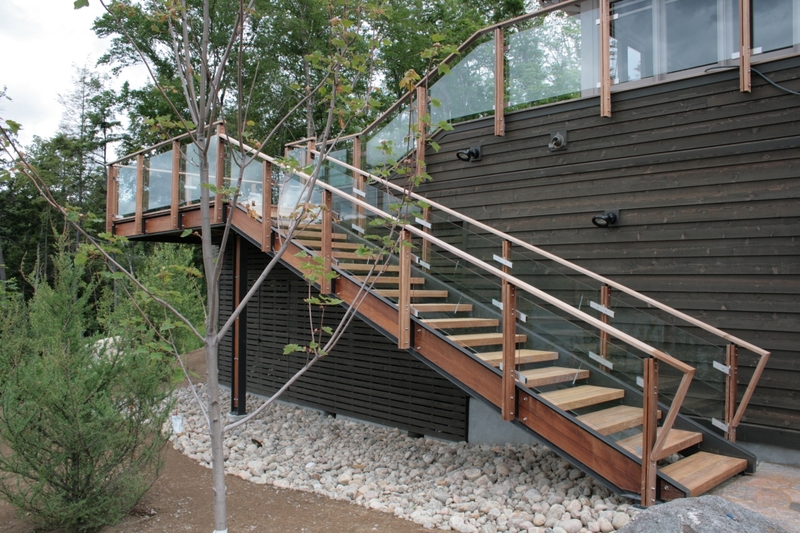 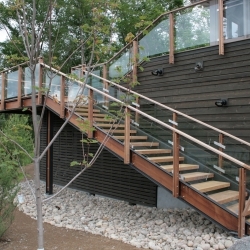 All our external stairs are made with treated timber and we only ever use stainless steel fixings. 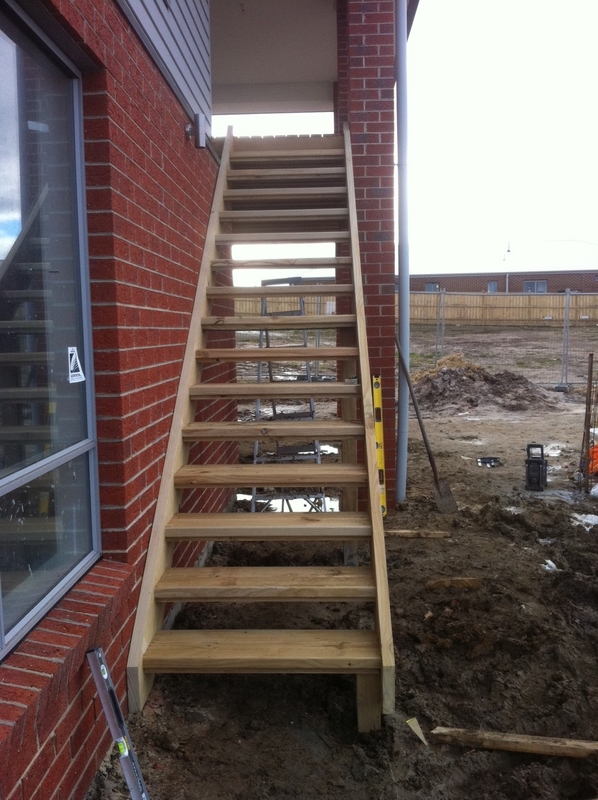 Generally most external stairs have a two part tread and a Ex50mm x 50mm semi riser, so that the gap is no larger than 100mm. 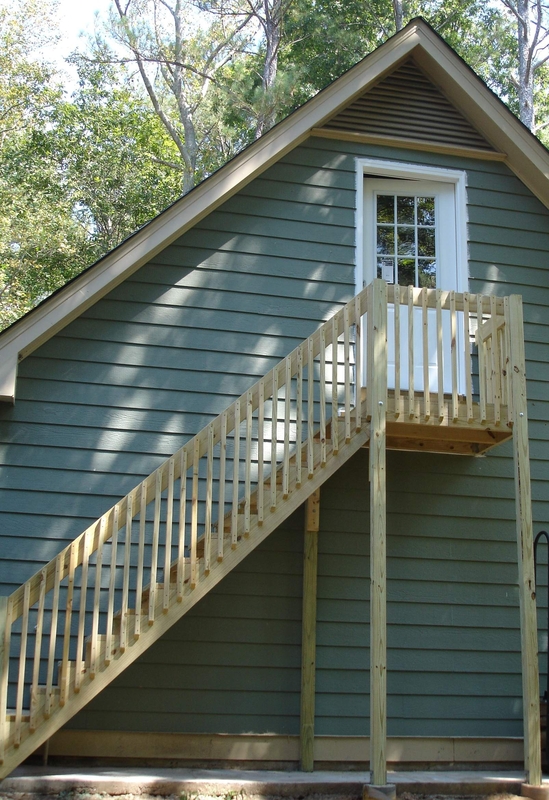 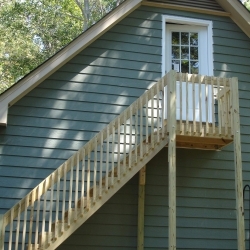 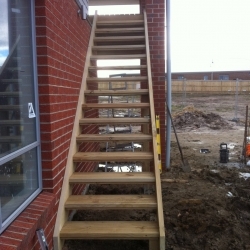 Silverdale Stairs also will make external stairs to match your decking timber with the same fixings as your deck too.